Did you know that the fragrance brand Diptyque started off as a little arty store in Paris, a treasure-trove of wonderful, colourful things? The three friends who opened the boutique used to source and import amazing beauty products from around the world and sell them alongside vibrantly printed fabrics and interesting little gifts. I was lucky enough, on a recent trip to Paris, to be allowed a little poke around in their miniature museum of original pieces – vintage Rimmel, retro soaps from Spain and books stuffed full with carefully preserved press-cuttings. In the sixties and seventies, the Diptyque store at 34 Boulevard Saint Germain must have been quite something – imported beauty products? Funky cushions and off-beat gifts? I would have spent half of my life in there! The need to do things a little differently still shows in Diptyque‘s branding, I think. They refuse to follow the herd – if they didn’t think of it first, they try to avoid it. Reed diffusers? No. 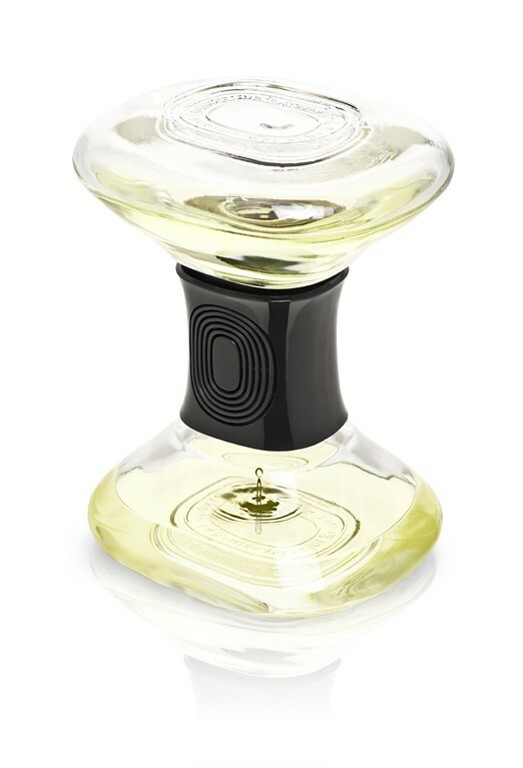 Gigantic Hourglass filled with home fragrance? Yes. There’s a very traditional feel to the products – classic styling, chic, monochrome labelling – but then an artistic, bohemian twist. Every label features hand-drawn artwork on the back, to be viewed through the glass of the bottle. Products have the Diptyque oval “seal” as their focal point. 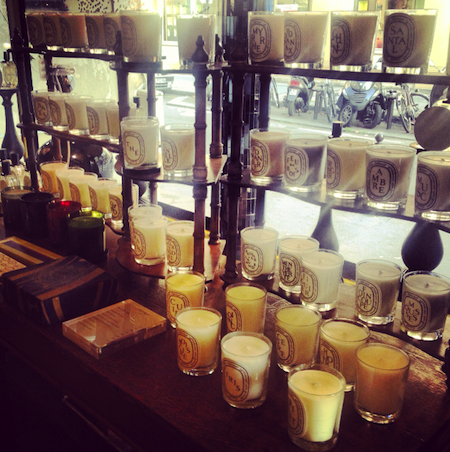 Christmas candles are poured into jars decorated with original fabric designs from the store’s first incarnation. 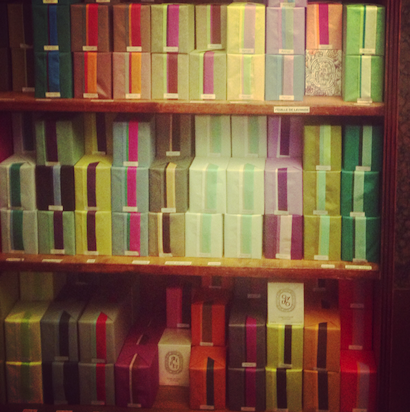 There are lots of little finishing touches that make the products so delectable – and look at the hundreds of candles below, pre-wrapped in their own little colour combinations! 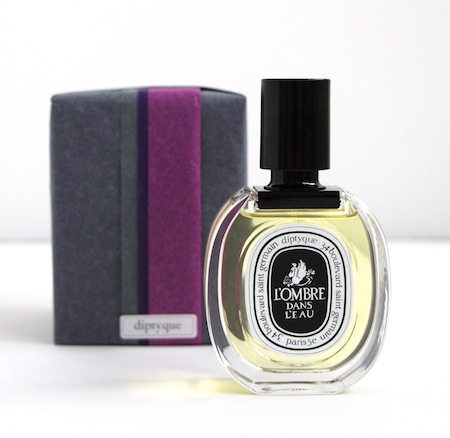 You’ll have to wait for the Christmas Gift Guide for more on Diptyque – but I leave you with my newest fragrance find, L’Ombre Dans L’Eau. I couldn’t believe it when I first sprayed it – it smells exactly like my Grandad’s greenhouse used to when the grapes were almost ripe on the vines. He used to make homemade wine and I liked to sit in the humid greenhouse with the tiny grapes dripping water onto my head! Ah, memories. That’s half of what fragrance is all about, to me. Previous Post Dolly Skincare for Grown Up Girls! Next Post Daily Mix – Fancy Getting Involved?